There is a vivid phrase in the Nobel prize citation for Mario Vargas Llosa: ‘the cartography of structures of power’, writes Sally Jeffery. I don’t know if it originates with Vargas Llosa or the Nobel committee. However, for the kind of people who become designers the cartographic viewpoint can be a literal need. Annie Proulx’s The Shipping News had me scrabbling back and forth through the pages trying to get the hang of the location, until I got out the atlas and identified a bit of Newfoundland coastline that seemed to match her flask-shaped bay. The location may be fictional, but it didn’t matter. Books for children often have maps, and some remain in the mind’s eye permanently. 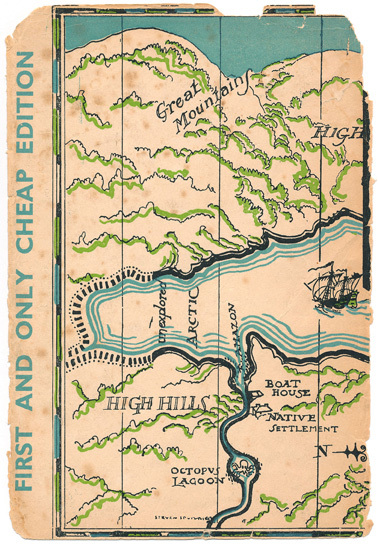 Locations in grown-up books are seldom mapped. The ability to comprehend a linear textual description is a badge of intellectual maturity, I suppose. Here, from the bookshelf of this infantile graphist, are some maps of more or less fictional places. 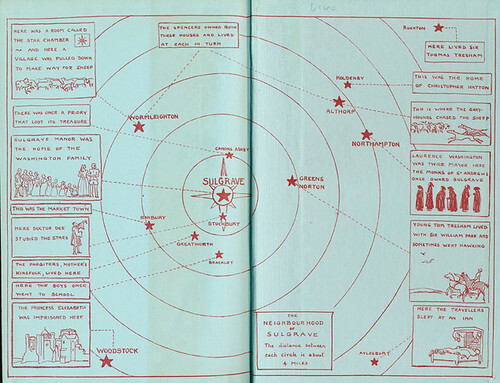 Top: Swallows and Amazons by Arthur Ransome: part of jacket map by Steven Spurrier. 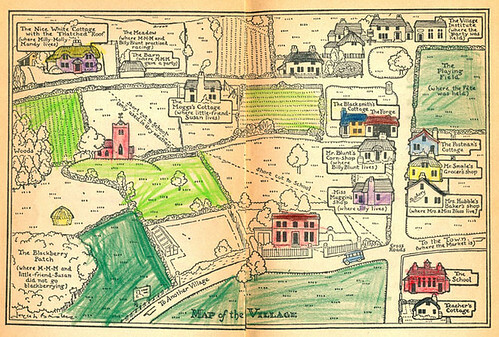 Above: Milly-Molly-Mandy Stories by Joyce Lankester Brisley: map by the author (coloured by another hand). Below: Stars of Fortune by Cynthia Harnett: the author’s map of sixteenth-century logistics on the endpapers. 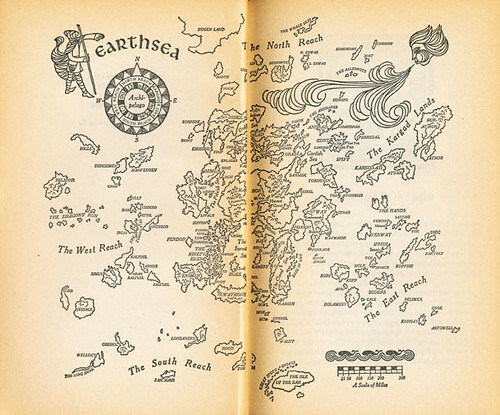 Above: Ruth Robbins maps Ursula Le Guin’s imagined world in The Wizard of Earthsea. 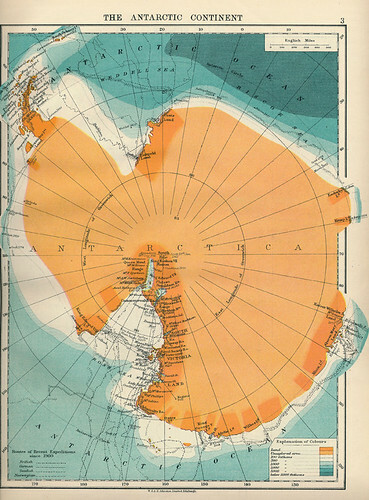 Below: From an atlas published in the 1920s. Not exactly fictional, but great sweeps of conjecture. Eye magazine is available from all good design bookshops and at the online Eye shop, where you can order subscriptions, single issues and back issues. The Autumn issue, Eye 77, is on press. For regular updates, please sign up for the editor’s newsletter.